Simon Rooney of JLL has exclusively negotiated the pre-sale of Brickworks Marketplace in Torrensville, Adelaide to Charter Hall, with an estimated on-completion value of $75 million. 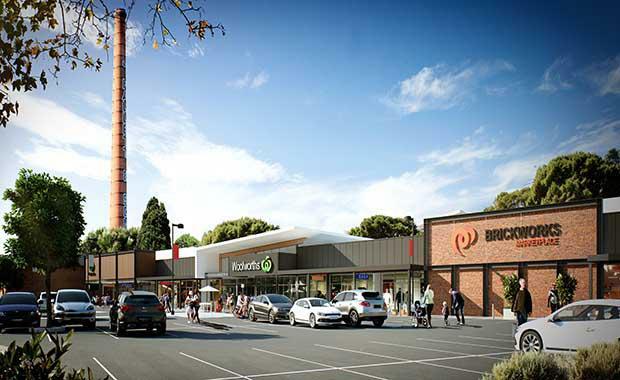 Brickworks Marketplace sub-regional shopping centre will be constructed by Woolworths with expected completion around mid-2015. The landmark Brickworks Marketplace site is positioned approximately four kilometres from the Adelaide CBD, which previously housed the iconic Brickworks Market. The new centre will comprise a new 17,300 square metre sub-regional shopping centre, featuring Big W, Woolworths, Dan Murphy’s and approximately 5,200 square metres of supporting retail specialty space. , said the Adelaide market has been very active of late. “The successful sale of Brickworks Marketplace in Adelaide follows the sale of Golden Grove in July to Challenger Life, and Arndale Central in September to Armada Funds Management,” Mr Rooney said. The acquisition of Brickworks Marketplace in Adelaide follows Charter Hall’s recent joint venture with HOSTPLUS acquisition of a $603 million portfolio of properties from the Woolworths subsidiary, ALH. “The volume of sub-regional transactions for 2014 year-to-date has reached $2.3 billion being a record for Australian market, and is significantly higher than the 10-year annual average of $780 million," Mr Rooney said. “We are looking to shortly finalise a further $500 million of sub-regional transactions in the near term. “Growing competition among motivated investors is driving yield compression in the sub-regional sector. "Mr Rooney said sub-regional yields (nationally) tightened by 23 basis points in the September quarter to 7.35 per cent on average according to JLL research, and currently range is between six per cent and nine per cent. “We expect to be the initial stage of a yield compression cycle which we expect to accelerate over the next six to 12 months as competition for quality assets intensifies,”Mr Rooney said. According to Mr Rooney, Woolworths and Wesfarmers have been a major source of retail investment product since the GFC through the sale of their property developments and portfolios. Combined, the two groups have disposed of in excess of $2.3 billion of retail property in the direct market since 2008.